Joyce M. Leritz married David Harold Richards, son of Laurel Lyle Richards and Alice Srow Ferguson, on 25 October 1986 at Minnesota. Allan Paul Richards was born on 6 July 1956 at Freeborn Co., Minnesota.2 He was the son of Albert Paul Richards and Naomi Jean Sloan. Allan Paul Richards was born on 6 July 1957.1 He married Sherrie (?) Allan Paul Richards died in 2007 at Arizona. Original data: Minnesota. Minnesota Birth Index, 1935-2002. Minneapolis, MN, USA: Minnesota Department of Health. (n/a), http://www.ancestry.com, unknown repository address. Sherrie (?) married Allan Paul Richards, son of Albert Paul Richards and Naomi Jean Sloan. Patricia Ann Richards is the daughter of Albert Paul Richards and Naomi Jean Sloan. Mary Carol Richards married male Motz.2 Mary Carol Richards is the daughter of Albert Paul Richards and Naomi Jean Sloan. There is no burial record or death certificate on file at Oak Hill Cemetery for Mary Ellen Gray. It would appear her name on the marker of her Mother is a memorial remembrance only. She graduated in 1970 at Burnsville High School, Burnsville, Hennepin Co., Minnesota. As of 1985,her married name was Miller. Mary Ellen Gray, 52, of The Towers in DT Mpls., died peacefully but unexpectedly of natural causes Nov. 13 at home. 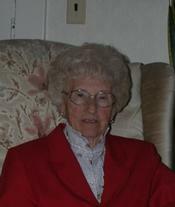 Beloved wife of Daniel Miller for 19 years; also survived by mother, Gloria Gray; brother, Stephan (Linda) Gray; sisters, Elizabeth Gray (AJ Richter)and Evangeline (Kirk) Shellum; nephews, William Broad (Dorothy Johnson), Douglas (Rosanne) Broad, Ryan Gray, Keith Shellum; nieces, Nicole Shellum, Kirsten Gray; grand-nephew, Michael Broad; aunt, Betty (Norris) Anderson & family; close family friend, Marvin Larson & family; Dan's mother, Olive Miller and his sisters, Denise (Richard) Snyder, Diane Leiran (Paul Carney); his brother, Duane (Donna), nieces and nephews. Her Cockatiels, Sydney and Adelaide were dear to Mary's heart. Preceded in death by grandparents, Josephine & Arthur Sorensen and father, Kenneth Gray. Born at home in Richfield, raised in Burnsville graduating BHS in 1970, attended the U of M. Always adventurous, Mary lived in New York City and then California before returning home. She married Dan in 1985. An employee at U-Care MN, Mary's lifelong career was in Heath Care Insurance. Mary's many interests included first and foremost her love of reading books and her book club of 15 years; working for her causes at the MN State Fair; supporting DFL party and serving as a delegate; working as an election judge; traveling to San Francisco, Chinatown and Muir Woods. Always helpful, Mary was known for her generous heart, enjoyed time spent with family and friends and was a beloved aunt to their children. A memorial gathering will be Wednesday, Nov. 17 from 6-9 pm, program at 7pm, at the Cremation Society of MN, 4343 Nicollet Ave S. Memorials may be directed to Friends of the Mpls. Public Library. [S1674] MN Birth Index 1935-2002, online www.ancestry.com, 1952-MN-043853. Hereinafter cited as MN Birth Index 1935-2002. Daniel Miller married Mary Ellen Gray, daughter of Methodius Kenneth Gray and Gloria Mae Sorenson, in 1985. Lucinda (?) was born circa 1824 at Vermont. She married John St. John. Her married name was St. John. Clara M. St. John was born in June 1861 at Indiana; info from 1900 Minnesota Census. She was the daughter of John St. John and Lucinda (?) Clara M. St. John married Charles J. Kennedy on 26 December 1880 at Red Wing, Goodhue Co., Minnesota.1 Clara M. St. John married Spenser Alanson Burlingame.2 Clara M. St. John died in 1929 at Juneau Co., Wisconsin. She was buried at Elroy City Cemetery, Elroy, Juneau Co., Wisconsin. "Minnesota Marriages, 1849–1950." Index. FamilySearch, Salt Lake City, Utah, 2009, 2010. Index entries derived from digital copies of original and compiled records. , unknown repository, unknown repository address. Hereinafter cited as Minnesota, Marriages Index, 1849-1950. Dominick Michael Lawrence is the son of Shane Lawrence and Vanessa Lynn Parker. Shane Lawrence is the son of Jeffrey T. Lawrence and Rita K. (?) Shane Lawrence married Vanessa Lynn Parker, daughter of Gregory A. Parker and Connie Jane Redman, on 23 September 2005 at Montana. Her married name was Harbick. As of 1968,her married name was Burkett. As of December 2009, Herena A. Tichey lived at 1450 View Vista Park, Port Angeles, WA. Herena Anna Harbick passed away on December 5, 2012, in Port Angeles Wash.
She married Bernard J. Harbick in Chippewa Falls, July 11, 1940. They moved their family to Colorado in 1953 where they were in the construction business for many years. After his death in 1967, she married J.C. Burkett in 1968 and they travelled throughout the west dealing in antiques. After their divorce, she and companion, Harold Redman, enjoyed traveling and watching marine travel on the Strait of Juan de Fuca from their home in Port Angeles. He died in 2010. She is survived by sons, Bernard Harbick, Franktown, Colo., Daniel Harbick, Elizabeth, Colo., and Robert Harbick, Port Angeles Wash., six grandchildren and eight great grandchildren, two sisters, Albina Bowe and Viola (Lee) Kelly, both of Chippewa Falls; sisters-in-law, Carol Tichey and Lois Frayer both of Chippewa Falls, Wis; brothers-in-law, Wesley Pederson and Frank Fijalkewicz both of Chippewa Falls, Wis. and John Yakesh of Bloomer, Wis.
She was preceded in death by brother, Joseph Tichey, sisters, Valeria Pederson, Helen Fijalkewicz of Chippewa Falls, Wis. and Rosemarie Yakesh of Bloomer, Wis.
Services will be held at Port Angeles, Washington, and burial of cremains will be in Chippewa Falls, Wis. at a later date. Orville Laverne Linch was born on 3 September 1890 at York, York Co., Nebraska.2 He was the son of Orville Lincoln Linch and Rose E. Farley. Orville Laverne Linch was born circa 1891 at Nebraska.1 He married Georgia Beatrice Williams, daughter of George Thomas Williams and Grace A. Barton, on 21 March 1911 at Denver, Colorado.1 Orville Laverne Linch died in May 1975 at Everett, Bedford Co., Pennsylvania, at age 84. He was buried at Fairmount Cemetery, Denver, Denver Co., Colorado; Find A Grave Memorial# 94582832. The World War I Draft Registration Card lists Orville Loverne Linch born 03 Sep 1890 in York, Nebraska.2 On 5 June 1917 Orville Laverne Linch was a farmer.2 He lived on 5 June 1917 at Box 191, RR 3, Littleton, Arapahoe Co., Colorado.2 His Social Security Number was 545-40-8873 issued in California, lists birth as 03 Sep 1890 and death as May 1975. Source Citation: Registration Location: Arapahoe County, Colorado; Roll: 1544477; Draft Board: 0. Ancestry.com. World War I Draft Registration Cards, 1917-1918 (database on-line). Provo, UT, USA: The Generations Network, Inc., 2005. Original data: United States, Selective Service System. World War I Selective Service System Draft Registration Cards, 1917-1918. Washington, D.C.: National Archives and Records Administration. M1509, 4,582 rolls. This database contains an index and images of World War I draft registration cards completed by approximately 24 million men living in the U.S. in 1917 and 1918. Information that may be found for an individual includes: name, place of residence, date and place of birth, race, country of citizenship, occupation, and employer.. Hereinafter cited as World War I Draft Registration Cards, 1917-1918. His Social Security Number was 146-09-2725 issued in New Jersey, lists birth as 07 May 1912 and died May 1987, last residence in Bedford, Pennsylvania. Ancestry.com. Florida Death Index, 1877-1998 (database on-line). Provo, UT, USA: The Generations Network, Inc., 2004. Original data: State of Florida. Florida Death Index, 1877-1998. Florida: Florida Department of Health, Office of Vital Records, 1998. Description: This index covers the death records in the State of Florida, USA, from 1936 to 1998. Most records contain a name, race, death date, death place, gender, birth date, volume number, and certificate number.. Hereinafter cited as Florida Death Index, 1877-1998. [S1830] Aeleen Farleigh Linch, online www.ancestry.com, Aeleen Farleigh Linch (n/a), downloaded Jun 2007. Edward Frank Sklenar was born on 29 August 1905 at Tacoma, Pierce Co., Washington. He was the son of Frank James Sklenar Jr. and Mary Matilda Kocourek. 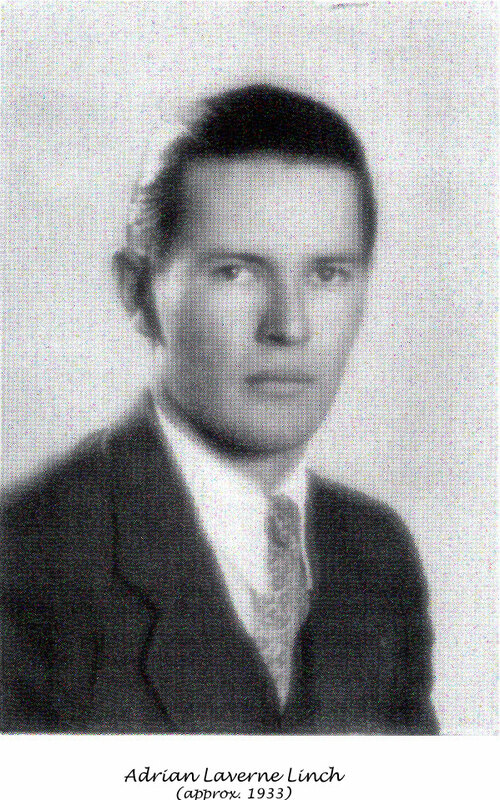 Edward Frank Sklenar was born circa 1906 at Washington. He died on 3 March 1922 at Tacoma, Pierce Co., Washington, at age 16. Ancestry.com. Washington, Deaths, 1883-1960 database on-line. Provo, UT, USA: Ancestry.com Operations Inc, 2008. New Orleans, Louisiana. Passenger Lists of Vessels Arriving at New Orleans, Louisiana, 1820-1902. Micropublication M259. RG036. Rolls # 1-93. National Archives, Washington, D.C.
New Orleans, Louisiana. Passenger Lists of Vessels Arriving at New Orleans, Louisiana, 1903-1945. Micropublication T905. RG085. Rolls # 1-189. National Archives, Washington, D.C.. Hereinafter cited as New Orleans Passenger Lists, 1820-1945. [S1955] Penny Luce, "Penny Luce User <e-mail address>," e-mail to Steven Harn Redman, 21 nov 2010, Helen married Tom Beesley after her daughter Mercy was an older teenager or an adult. The source of this record is the book CH-49 on page 375 within the series produced by the Indiana Works Progress Administration. Ancestry.com. Indiana Deaths, 1882-1920 (database on-line). Provo, UT, USA: Ancestry.com Operations Inc, 2004. Original data: Various Indiana county death records indexed by the Indiana Works Projects Administration. Indiana: circa 1938-1941. *** Need to verify if this is correct person. Her Social Security Number was 309-48-1626 issued in Indiana. Social Security Death Index list born 15 May 1906 and died 16 May 2005. 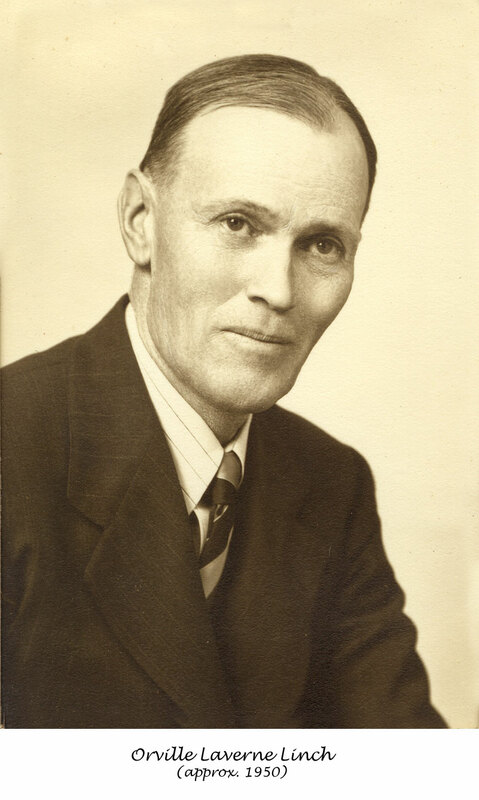 Lloyd Vernon Squires was born at Minnesota.1 He married Lillie Preble. 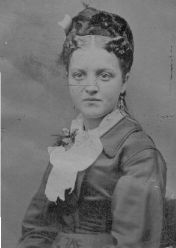 Lillie Preble was born at Minnesota.1 She married Lloyd Vernon Squires. [S1669] Letter from Carole Ann (Harn) Bongers (15364 Cabot Ave., Faribault, MN 55021) to Steven Harn Redman, 07 Mar 2005; Steven Harn Redman (2633 N. 1600 E., Layton, Davis Co., UT). [S1970] Minnesota Official Marriage System, online http://www.mncounty.com/Modules/Certificates/Marriage/Default.aspx, Marriage Certificate M1221312003000090. Hereinafter cited as Minnesota Official Marriage System. [S1935] Caroile Bongers, Faribault Daily News (online edition), www.faribault.com, 07 Dec 2009, n/a. Hereinafter cited as Faribault Daily News (online edition).